Red-Gate SQL Prompt is a plugin for SQL Server Management Studio that makes the developers life easier when writing t-sql. It provides improved intellisense, indent and coding styles, and also a snippet manager feature that allows the developer to create a set of useful shortcuts. Those autocomplete items can be really useful for a team, let’s see how we can share them in a team. For further information about the product, click here. After the plugin setup you will find a set of built-in snippet located, by default, on %USERPROFILE%\AppData\Local\Red Gate\SQL Prompt 5\Snippets (this is for version 5). 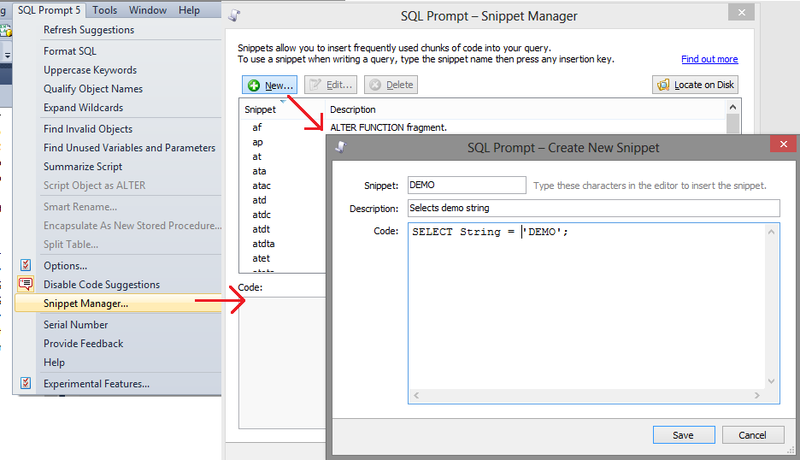 Every snippet is a file with the .sqlpromptsnippet extension. That DEMO snippet will be added onto the default list. I made the copies and changes with powershell. After dropbox is installed, create a folder that will contain snippets and that will be shared. The name in this example will be “Snippets”. Share the folder with other developers. $SQLpromptFolder = "SQL Prompt 5"
$localAppDataSnippets = $env:LOCALAPPDATA + "\Red Gate\" + $SQLpromptFolder + "\Snippets\*.sqlpromptsnippet"
$newSnippetFolder = $env:USERPROFILE + "\Dropbox\Snippets"
Write-Host "Copying *.sqlpromptsnippet files from " + $localAppDataSnippets + " to " + $newSnippetFolder + ".."
Write-Host "Restart SQL Server Management Studio to apply.."
The SQL Prompt installed on the pc in which the script is executed will point to the new path configured. When a developer adds a new snippet, this will be shared in real time via dropbox. Note: this script is valid for the version indicated on $SQLpromptFolder. You can change the value of that variable, but I strongly suggest to read the documentation of the release you want to manage. Tip: you can use also another storage, let’s say, in the cloud, like skydrive. The powershell script can be shared using the same behavior. 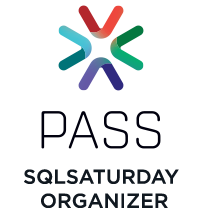 This entry was posted in ALM, Red-Gate, SQL, SQL Server, SQL Server 2008, SQL Server 2012, Third party and tagged red-gate, snippet, SQL, SQL Server Management Studio, SQLServer, SQLServer 2008, SQLServer 2012, T-SQL, Third party. Bookmark the permalink. Feel free to clone and contribute to this repo, or fork from it for your own teams. Thank you for this repo!